Sell Junk Car Tampa | Sell junk car tampa is your go to place to sell your old car today for cash. 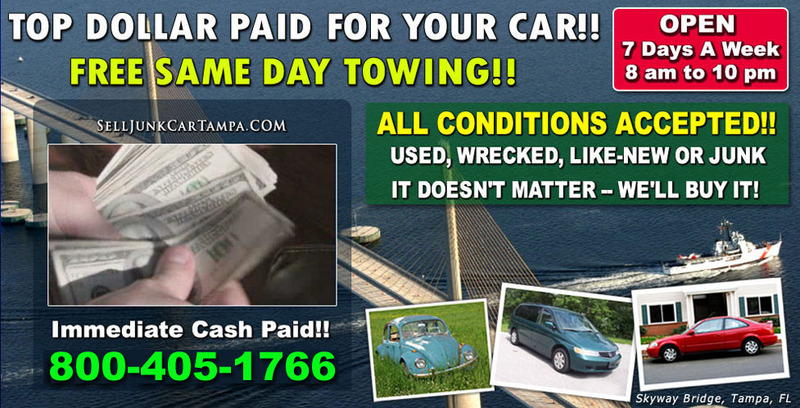 Sell Junk Car Tampa will pay cash for cars, trucks and SUVs, no matter what their age or condition. We always pay top dollar, provide free car removal service, and can usually have cash in your hand within one business day. We are a family owned and operated business serving Central Florida. Whether you’re in Tampa, St Petersburg, Clearwater, or Orlando, we’re interested in buying your car.